Your eye contour area is three to five times finer than the rest of the face and is usually the first to show signs of ageing. 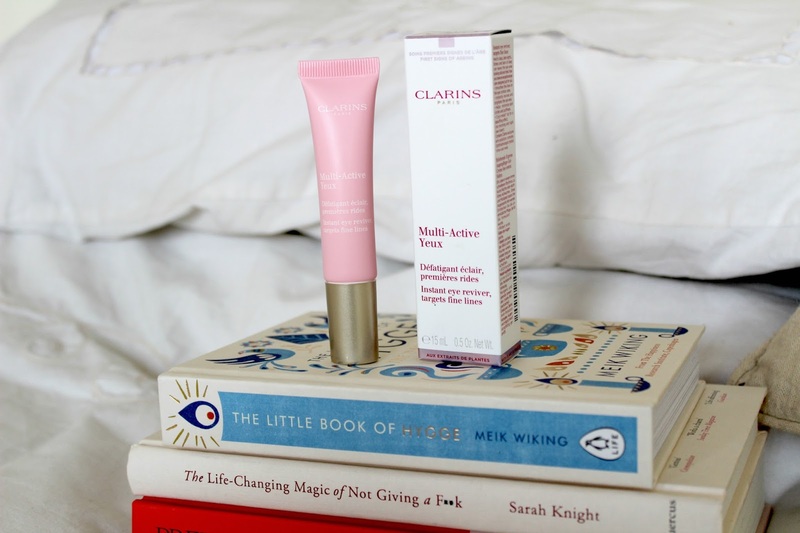 The Clarins Multi Active Eye helps to preserve radiant, youthful looking eyes, smooth lines, minimise the signs of fatigue and brighten the eye area. I'd be the first to admit that the one area I worry about the most is my eye area and research has shown that that is also the main concern of most women in their 30's. Our lifestyles have completely changed and that paired with lack of sleep can severely effect our eye areas. The Multi-Active Eye contains teasel extract which can be used in two innovative ways, it helps revitalise and protect tired and stressed skin by encouraging production of an energising molecule which helps the eye contour area. 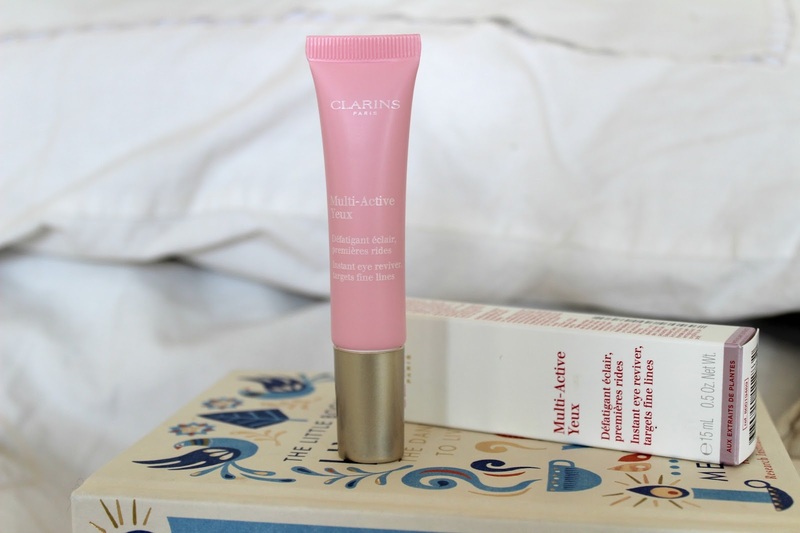 The eye treatment comes in matte pink packaging and the applicator is much like Benefit Cosmetics Puff Off! which was released in 2015. This fitted quite easily into my skincare routine, morning and night I just squeezed a little out on to the applicator and applied to eyes. The silver side makes application smooth and easy, while the cooling effect of the metal really helps me wake up in the morning. Some may see this as just another gimmick but it's something I'm definitely on board with, my eyes are brighter, the skin is smoother and after almost four weeks, I can see the difference it is making. 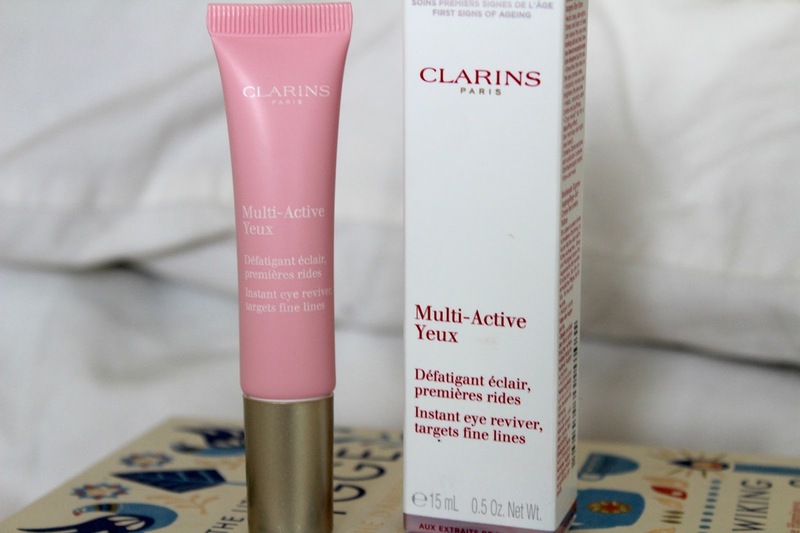 Multi-Active Eye will retail at £35.00 for a 15ml tube and will be available from Counters this February. If you pick one up, don't forget to tell me what you think. This sounds lovely! 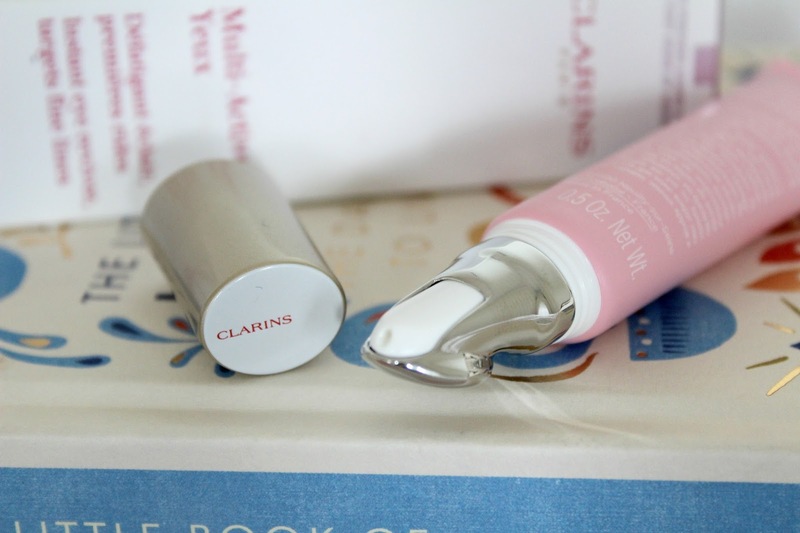 I really like Clarins' skincare.